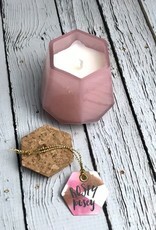 This darling little 2.5 oz rose pink glass vessel is cut to look little prism! 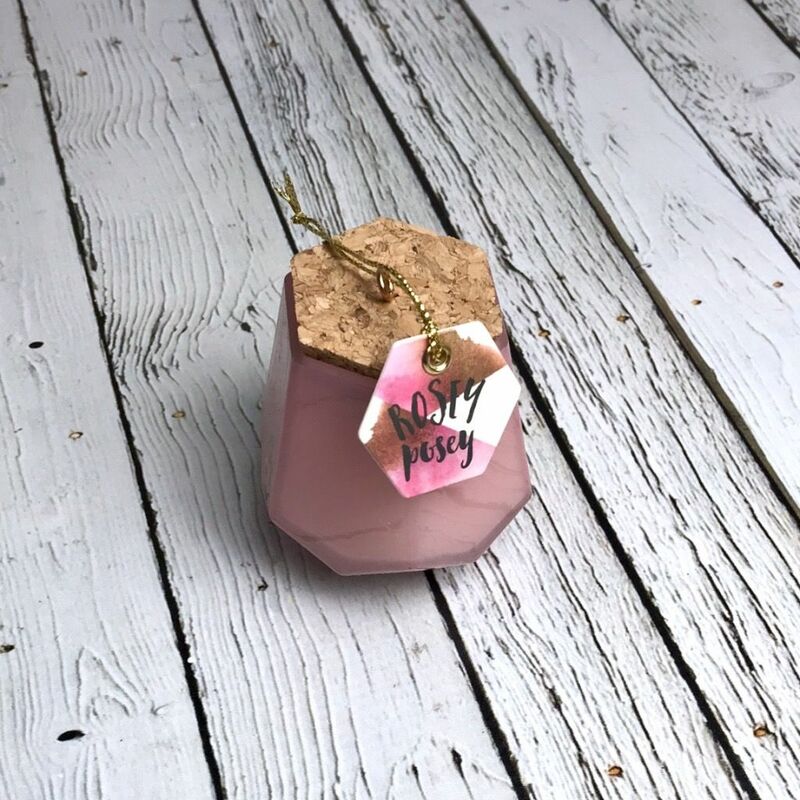 It contains a clean burning soy wax candle with a “Rosey Posey” fragrance. Very fresh and clean. These make a great gift! 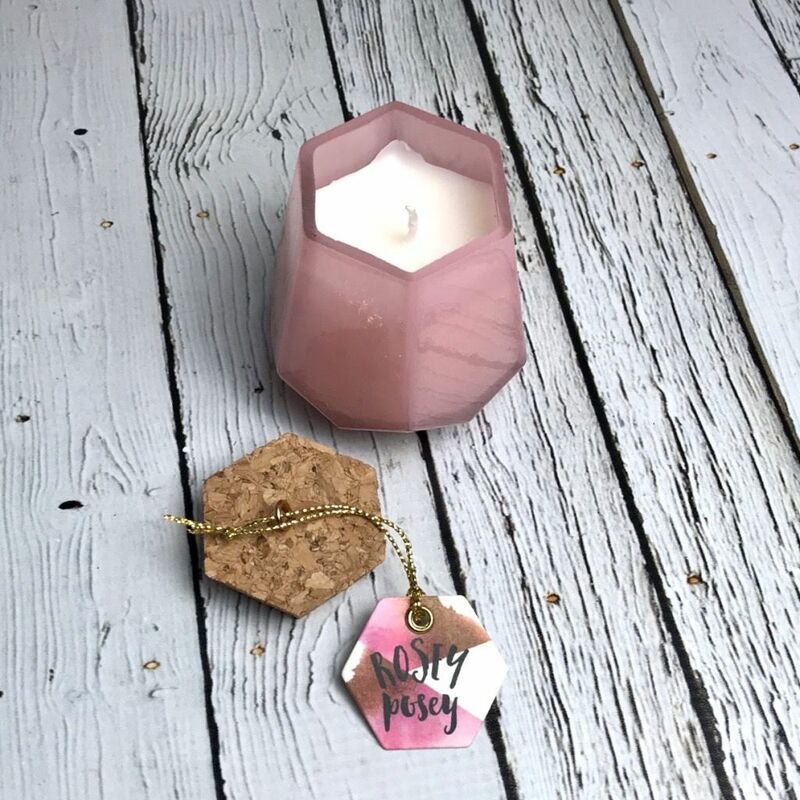 Once the candle burns out, clean out the wax and use the glass container to hold air plants, as a succulent planter or a match holder!